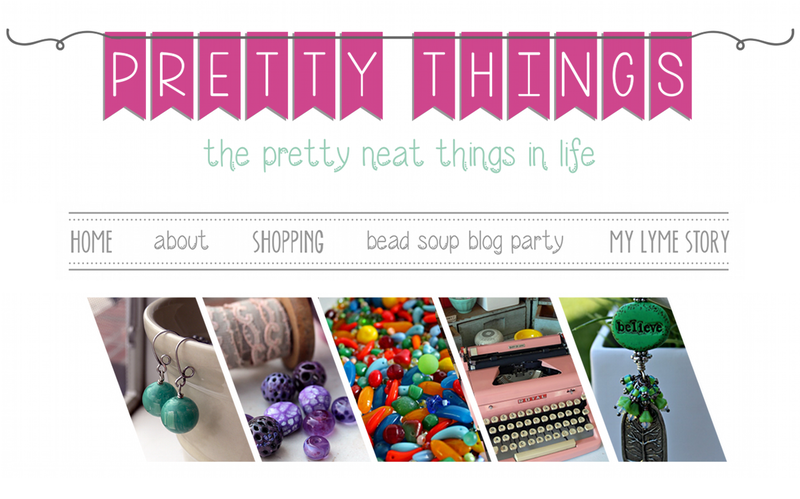 Pretty Things: eBook on Blogging Prompts is coming along! eBook on Blogging Prompts is coming along! I'm on page 14, and it's taking a little longer than I expected but it will be worth the wait! There are going to be TONS of gorgeous photos from me and a lot of talented bloggers, prompts, ideas, and some of my own musings. It will NOT be about how to start a blog (I'll be listing some links within the book for that) but about how to get out of writer's block and make your blog more creative. It's taking a little longer because I'm learning new software as I make it, and doing a bunch of photo and font manipulation. Seriously, I want it pretty AND informative! I hope you'll wait for it! I'm thinking it will end up around 50 pages more or less. The cost is going to be $15. Does that sound good? Lori Anderson creates jewelry for her web site, Lori Anderson Designs, and wrote the blog An Artist's Year Off. 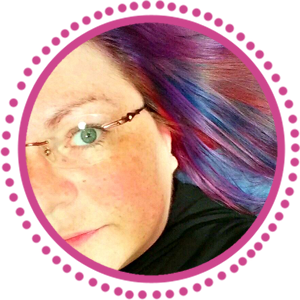 She is the creator of the Bead Soup Blog Party. I am excited for your e-book and I can't wait to see your creation! cannot wait! hope it includes how to drive traffic/business to your site also! That sounds like a book I definitely want to read! I'm looking forward to it! That sounds like a great idea Lori! Sounds like a great read...and the price sounds very reasonable, as well! Best of luck to you! Fantastic. I am v excited to see your book! I think for 50 pp, $15 is just right, excellent value. I can hardly wait to see it. Are you going to put it up on Amazon and Smash words also? Echo Creative Club challenge reveal! The eBook on Creative Blogging Prompts is DONE! 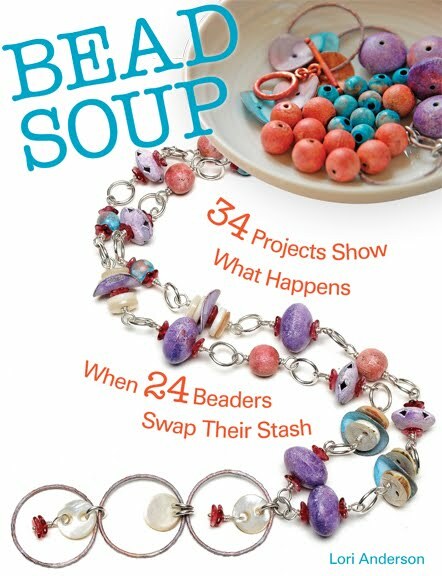 The Cup of Bead Soup Mini-Blog Hop Reveal! 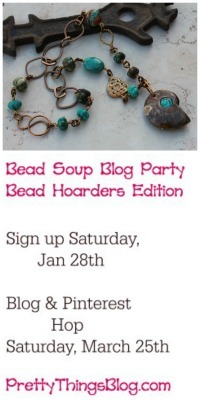 Cup of Bead Soup Mini-Blog Hop on Saturday!! !